The premier units, the “beach-house”, have private pergola porches on the beach where you walk a few steps down from the porches to the warm sandy beach. These units are not connected to the main inn and allow for our guests to have a home away from home experience. Each has cathedral ceilings, fireplaces, sitting areas along the windows overlooking the beach, a wet bar, refrigerator, coffee maker, flat screen televisions, cable and wi-fi. The luxurious bathrooms are tiled with marble and the showers are glass enclosed. Each has king size beds and upscale linens. The kitchenettes have granite counters and plenty of cabinet and closet space. The beach-house, units 19 and 20 are for adults only. Found this gem of a place on Trip Advisor and so glad we stayed here! Started looking for small places on the beach and with things to do near by. 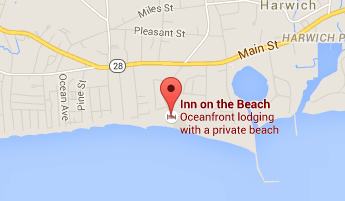 The cutest rooms, steps from the beach, great breakfast spread and a wonderful and friendly staff! Can't wait to go back! We are in love with this place! !